I ran into an article the other day that made me say, “hmmm, why didn’t I think of that?” The articles’ idea was to save money by keeping a food waste diary. What this is predicated on is Forbes Magazine’s estimate that we throw away 250 pounds of food a year per person. This means if yours is a family of four, you’re throwing away about 1,000 pounds of food a year. Think about this for a minute–1,000 pounds of food wasted a year. If you keep a food waste diary, you can determine what your family is eating and not eating so you can adjust your cooking, shopping and eating habits and cut this waste to the smallest amount possible. The frugality site Squawkbox estimates you could save as much as $1,500 a year by eliminating food waste. It works kind of like a budget. Except you don’t write down what you spend, you write down information about the food you throw away. This should include why you tossed it, the amount of food you chucked, how you got rid of it and how much money you wasted by doing so. You don’t have to list every last item wasted such as 1/8 cup of left over milk poured down the drain from breakfast cereal at a loss of $0.20. The idea is basically a good one as it can show you where you get off track and how to change your spending habits. 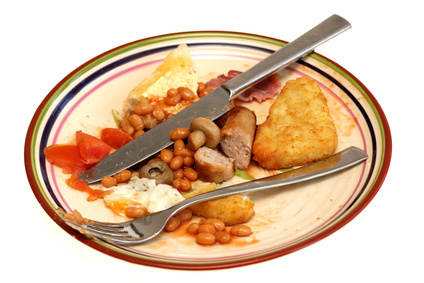 After you have tracked your food waste for several weeks, you need to review your diary to see if you can spot a pattern–when, what and where food was wasted. Is there some specific food that you’re tossing regularly? Are you composting a whole meal? Add up the cost of what you tossed and you will see your financial loss. You might be very surprised at how much this is. As a second step, figure out the reasons. If you know why you tossed that food, this can help you avoid it in the future. Maybe you’ve been making meals too big, over pouring glasses of milk or buying too much food in bulk that your family can’t consume before its expiration date. Finally, try to improve. Develop strategies for limiting food waste in your household. Making smaller sandwiches, buying fewer apples and learning to love leftovers are just a few of the tactics you can try. Or it might be as simple as feeding your family more of what they like and less of what they don’t. I understand you want your family to eat a lot of leafy, green vegetables but if you find you’re tossing most of them away, you might just as well bite the bullet and stop trying to cram them down their throats. A food waste diary is a good idea when you are trying to save money so you can pay down your bills faster. Cutting your expenses is just as beneficial as increasing your income. It’s another step down the path of getting out of debt.